You are here: Home / Church Talk / church growth / To reach the Nones and Dones, focus on the Ones. Over the past few years, religious studies experts have written about two groups who are negatively affecting religion in America. 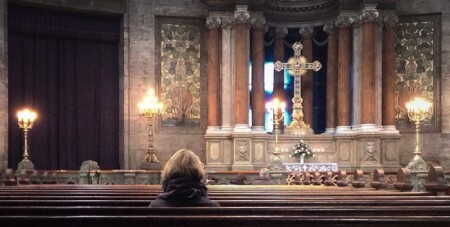 The “Nones” are the increasing number of Americans who check “none” on the religious affiliation section of census forms and polls, indicating they do not affiliate with a religion. This number is highest in the Northwest and the Northeast. The “Dones” are the folks who are done with church. They are otherwise Christian but due to church politics, lack of hospitality, anti-gay culture, or other reasons decide to walk away and not affiliate. While there hasn’t been much study of this group, one suspects they are most numerous in the monolithic Bible Belt. Reams of paper have been printed and billions of pixels have been lit up with analysis and advice of how to deal with these two phenomena. But I think churches would do better to focus on a third group: the Ones. The Ones are folks who adhere to a church (not a None), and attend that church (not a Done), but only participate in only ONE activity in that faith community. For most churches, The Ones are folks who only attend worship services and otherwise do not participate in other parts of the church. The best of them worship once a week, give a tithe, welcome visitors, and usher or assist with that worship service in some way. They may participate fully in that one activity, but they do not participate in any other aspect of the church, such as Sunday School classes, service events, or even social outings. In the Pacific Northwest, my ministry context, The Ones also include folks who are connected with the church through one of its outreach or community offerings. There are folks who only attend a Sunday School class, who only attend particular service opportunities, and who only attend events that cater to their age group. Their “one” thing isn’t even worship: it’s another aspect of the faith community–and to be fair, they attend faithfully and fully! Ones do one thing, and often do it well. But as their resident theologian and pastor, this is problematic for me. The Ones are, oddly, valued by pastors–for the wrong reasons. They attend and are members, often tithe, but don’t participate elsewhere in the church. They give a “plus one” to the two statistics that are most looked at (attendance and membership), and they often passively accept whatever the church does. But we are doing people spiritual disservice when we allow them to stay in their one activity. When people participate in two aspects of a faith community, they are able to bring different parts of themselves to their spirituality. It’s not just a difference between broadcast spirituality (worship) and interactive spirituality (education, service, witness). Rather, they are able to apply their faith in a faith context, which makes it easier to apply their faith in secular contexts. Even for those who attend service events and not worship, imagine how fulfilling their service would be with the week’s message as a conversation partner. To be clear, there are certain folks who are justifiably Ones. The very elderly and those with disabilities often participate in worship and maybe a handful of other events each year. That’s fine and they are not the focus of this conversation–though I always tell them they can join the Prayer Team and if they can receive prayer requests by phone or letter, they can pray and then they ARE involved in worship…plus one. How do we reach the Ones? Imagine if everyone in your pews was involved in ONE other part of the church on a regular, intentional basis. What transformation might take place? All their Sunday morning extra experiences (education and service opportunities) were led by their laity, not their clergy. Previously, they had 30 adults participate in Sunday School. After the Worship+ initiative, they had 150 adults participating in the variety of offerings in that same time slot. 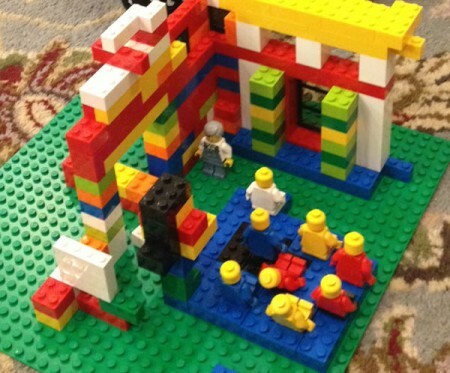 They experienced an overall increase in children and youth participation, although families dedicating over two hours on Sundays didn’t mesh with their church culture–they ended up participating at other times. My local church is another example. We began intentional efforts to get 50% of the congregation involved in a small group. When we began the three-year project, about 27% of the church was involved in a small group, but some of those groups were longtime social groups, closed to outsiders. By doing intentional coordination and similar values-sharing of “we want you in worship AND any of our small groups,” within three years we crossed the 51% threshold last August. Both of these are mainline churches in The None Zone that should be declining, but instead have experienced an increase in discipleship among the people already participating–and it has led to numerical growth as well and an increased number of people who are applying their spirituality in different ways, both in sacred and secular spaces. When I was applying to seminary, my entrance essay was about how The Great Commission was about discipleship, not evangelism. When Jesus said in Matthew 28 to “make disciples of all nations,” He didn’t say “make Christians of all nations.” Discipleship is more than believers and members of churches. I think discipleship means to enter into the types of situations where our faith is applied, and I believe that happens best when we participate in MORE THAN ONE aspect of the church. When The Ones becomes The Twos, the math doesn’t work out because they often experience exponential growth in their applied spirituality. For this reason, I firmly believe raising the bar for discipleship will be better for everyone. No matter how high or low a commitment that Plus One activity is, it opens up a space where transformation happens. The winnowing of the church is ahead of us, and in many areas it has already begun. I believe discipleship will carry us through the time ahead, not evangelism directly. With the media machine focusing on the worst Christians they can find who are calling for more guns and less refugees, and with mainline denominations distracted by internal sexuality discussions, we need to stop looking to the talking heads for revival, and focus on the grassroots to empower/encourage/inflame our church members to enter into a new season of discipleship. It may be our only way to thrive in a world gone mad. Great thoughts. I love the contrast of broadcast spirituality vs the interactive spirituality example. Thanks Jeremy! I like your focus here, but I’m not sure I agree with your final premise of choosing to focus on discipleship over evangelism. Rather than either/or, I believe our fidelity rests in both discipleship (falling deeper in love with God) and evangelism (growing deeper in love with our neighbors). editorial note: The name of the church in Anchorage is St. John (without the apostrophe s). Thank you for another insightful and though provoking post. I appreciate your witness. Thanks for your correction on the spelling of St. John UMC. I was a member there before I went to seminary. It’s named for one of the founding members of the congregation. This is the best post I’ve read from you, Jeremy. It’s giving me a LOT to think about, thank you. Great post, Jeremy. I’m reposting this on UM Insight AND sharing it with my congregation, which is in great transition. Thanks! Thoughtful article, Jeremy. Ultimately, I think discipleship is about building relationships…with the Divine, with others in our churches, and with those outside the four walls in our communities. The better we can connect with those around us, the easier it is to spread the good news and model radical inclusion. So, I agree that building stronger connections with the “ones” in our churches is a fruitful approach. Keep writing, Pastor! This post is thought provoking and worth reading and considering. This is the first time I’ve visited this blog. It was featured in the UMNS Daily Digest. As someone who doesn’t share your progressive theology, a few comments you made were off-putting. The first was in your description of “Dones”. “While there hasn’t been much study of this group, one suspects they are most numerous in the monolithic Bible Belt.” The second was in the final paragraph where you wrote “With the media machine focusing on the worst Christians they can find who are calling for more guns and less refugees…”. In both instances you seem to have moved from facts to your own negative assumptions/opinion of Christians who differ from you. If you wish to appeal to a larger readership, such a those who receive the UMNS Digest, you might consider monitoring these kinds of statements. I read this earlier, but I wanted you to know the Minnesota Annual Conference picked it up for its Thursday mailing that goes to churches and individuals. Thanks again for writing this. Good stuff as always. We’ll use as part of our visioning discussion. Sometimes evangelism is as much about reminding people why they fell in love with Jesus to begin with and why that makes a difference in the way we live out our faith. Regarding “Ones”. I believe that we should celebrate the fact that they’re participating at all. Many folks are limited in being able to attend multiple church activities due to work and or family constraints. It’s always a little concerning to me when we try to push people into a level of church participation we think they should be involved in. I realize this thread is old, but it applies to me now. This is my experience, and you will probably not like what I have to say, so I must post anonymously for fear of flame-outs. Some of your analysis is correct, some is not. I am fast approaching 61 years old, born and raised in church. I was even a church planter for a while. In the 80/20 rule I was part of the 20%. I poured my time, treasure, and talent into volunteer church work and ministry all of my adult life. But in August 2016 my wife and I found ourselves at the proverbial fork in the road, and we took it. 1) I’ve learned that the grayer your hair, the more you are encouraged to just sit down and shut-up, and shamed if you don’t blindly fork over your cash. Your decades of volunteer or leadership experience is magically out of date, and you stand convicted of making the church unappealing to the narcissistic 20 and 30 somethings. You are increasingly encouraged (LOL!) to stay out the visitor line of sight, but HEY BROTHER! The nursery and pre-school sure need help!! Make no mistake – that message was received loud and clear. 2) The churches constant push into manufactured small groups over the last few years. I absolutely despise being strong-armed into groups where I am expected to give up precious personal time and reveal my innermost thoughts to people I have NOTHING in common with. My schedule is packed full, most of it with things I have no control over. Clue: Successful life groups occur organically. Please STOP coercing people into them. 3) I am extremely saddened that so many churches are falling for propaganda of the unhinged “Love Wins” or “Love Trumps Hate” reich. I have yet to see even the slightest hint of ‘love’ from these intolerant, hate filled screaming bullies. YES, I stand unapologetic on that description because it’s true, like it or not. 4) The daily life struggles that my wife and I deal with now are as different from the 20 – 30 somethings as the East is from the West. We seek support from people with our same struggles – elderly parents, job insecurity, financial burdens, health issues, medication expense, hospital and doctor visits, matters of life and death. In 2011 our beloved home church was hijacked by an angry, “progressive” church cartel and the new regime put my entire family (and selected others) out to pasture and attacked us BY NAME on social media. Our grief was overwhelming and life changing. So FINALLY, in August 2016, exhausted, abused, and worn out, we officially joined the DONES and we will never go back to what passes for church these days. My Sunday mornings are now coffee at home with my beloved spouse, with our favorite worship music playing softly in the background, and we are enjoying our stress free Sunday mornings for the first time in many years. We give our weekly tithe to local community groups and specific individuals that need a helping hand. God provided us with a circle of friends with very similar experiences, and they have become our life group.